The high speed mixer machine using electromagnetic speed governing, frequency control and three-speed motor, is suitable for a variety of viscosity. Hydraulic lifting and mechanical lifting can adjust to different location. Explosion-proof configuration is safe, reliable, easy operation and maintenance. The high speed mixer machine has the advantages of high efficiency, smooth operation, easy installation, suitable for all kinds of viscosity of different materials. Beier PVC high speed mixer machine are mainly used for mixing, coloring, drying in the plastic, rubber and food-stuff industry as well as daily chemical industry. 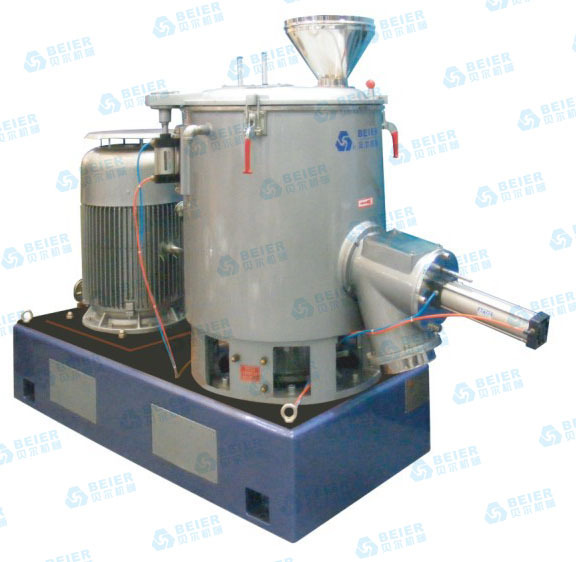 PVC high speed mixer machine adopts advanced design. It can be operated easily, safely and reliably. It has the advantages of small size, light weight, high efficiency, low energy consumption and low noise. It is an ideal choice for you to buy such devices.